Recently I went to this newly opened place in Green Park Market, called HIVE Kitchen & Bar, and I am really glad I went there. 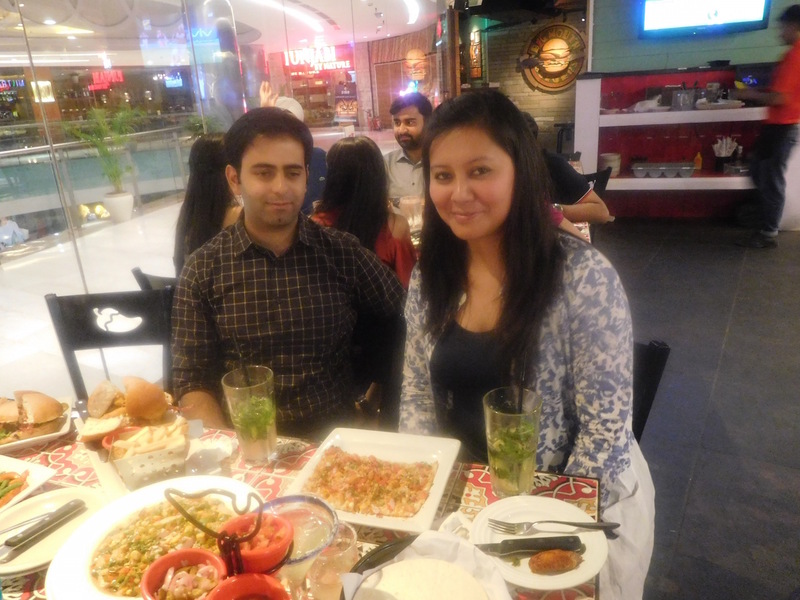 The ambience, the drinks and the food, everything was just amazing. 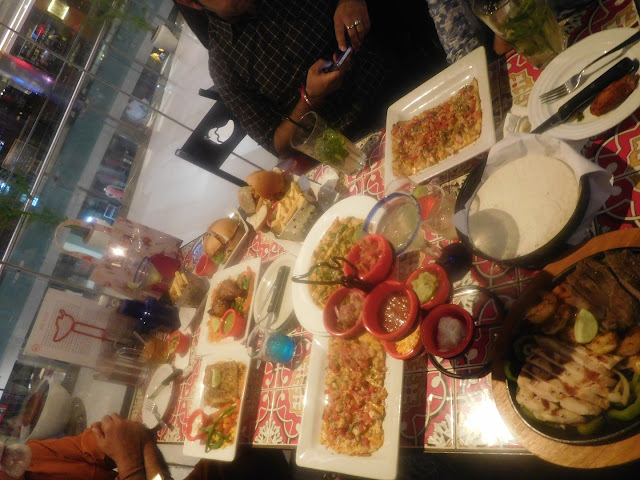 There was a specially curated menu for us as we went for a review, and all these items were a part of their regular menu as well. For the cocktails, I tried Cosmopolitan and Caprioska and both of them were good, but I still liked Caprioska better. 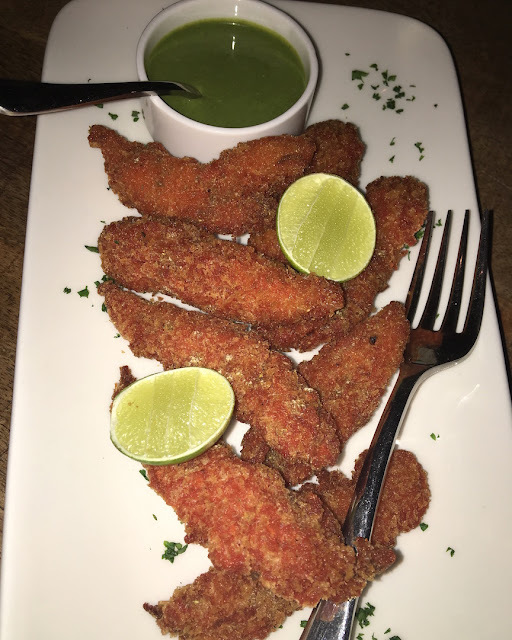 The starters included Beer Battered Amritsari Styled Fish Nuggets, Naan Pizza, Crispy Chicken Croquettes and Ceaser Salad. 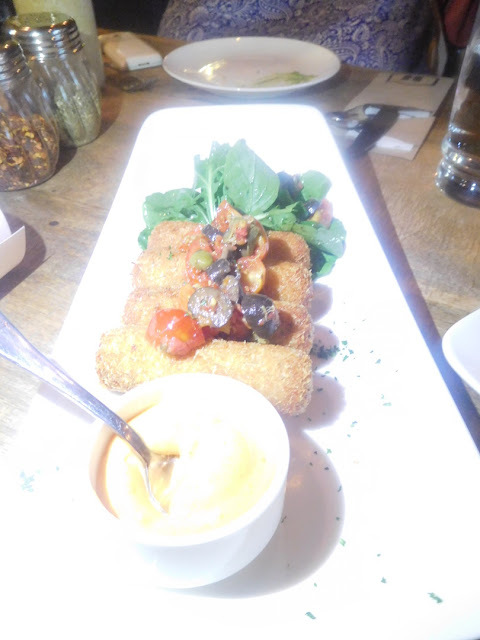 The fish was very very crispy and tasty. 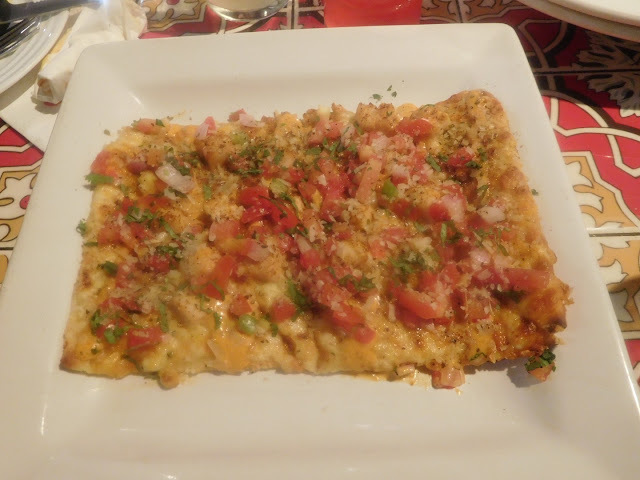 The naan pizza was just the way I love my pizza, not a hard crust, but the goodness of a pizza on soft bread. 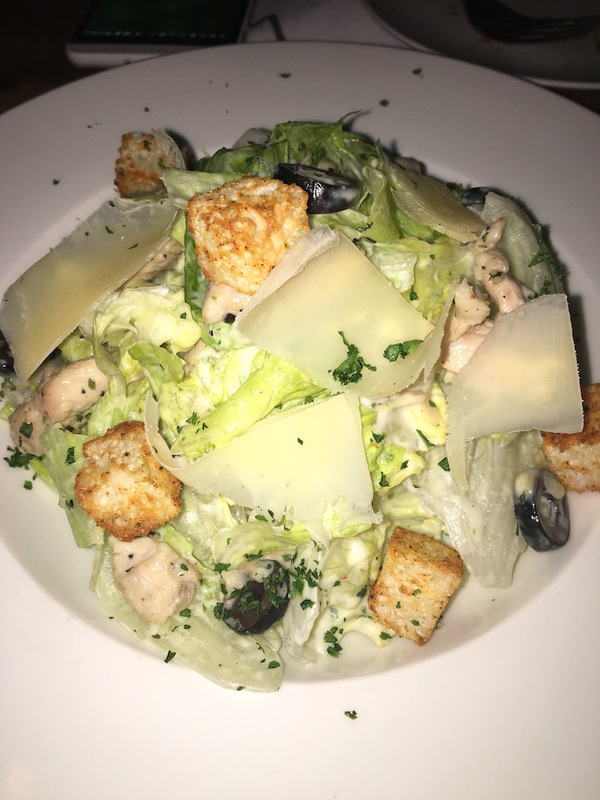 Chicken Croquettes were delectable and Ceaser Salad was good too. 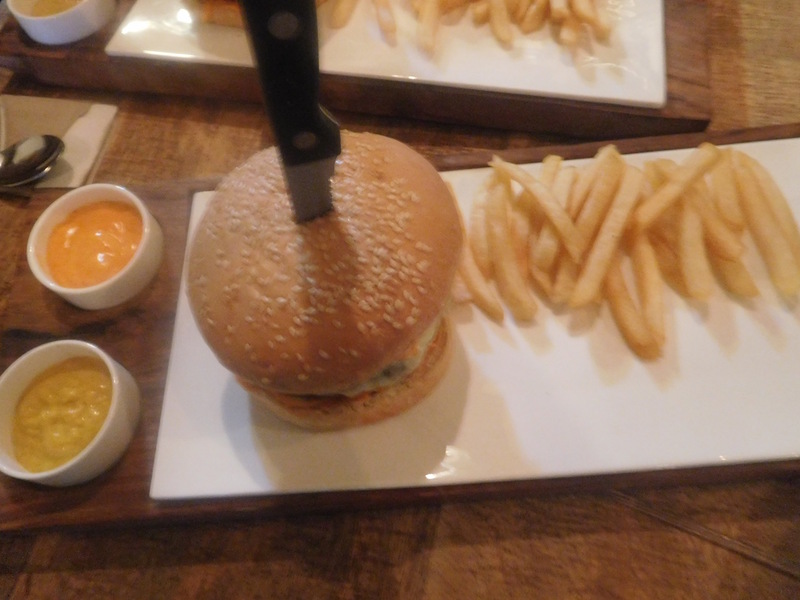 For the mains we had, Indian Style Spiced Chicken, Juicy Lamb Burgers and Half Roasted Chicken. 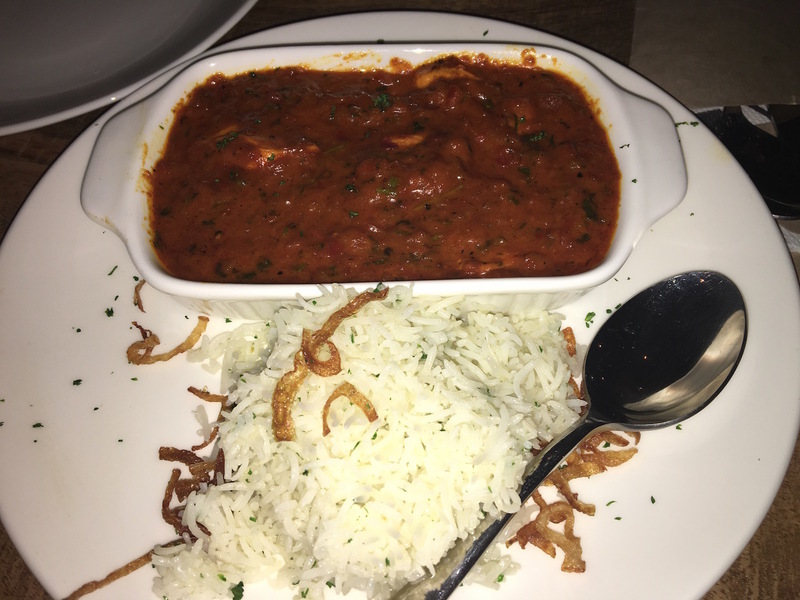 The Indian Styled Chicken was delicious; the red gravy was delectable and can be eaten with both rice and roti. Juicy Lamb Burgers as the name suggests, were really juicy and a must try. 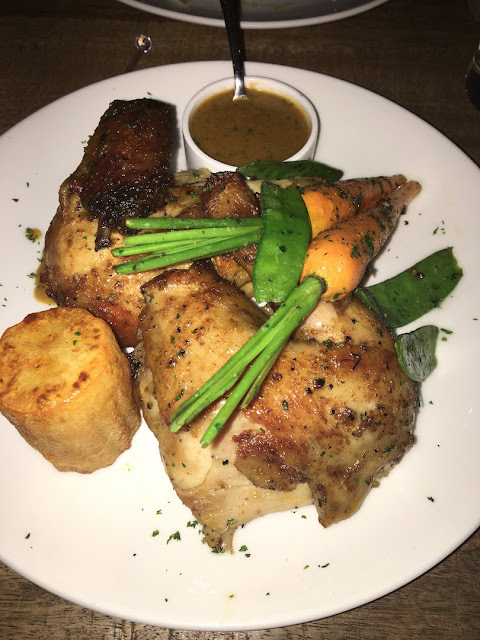 After the starters and 2 things in the mains, my tummy was really full, I had no place for the roasted chicken, but I did try a bite of it and I can surely say that it was a perfect roast. Even when I am full, desserts are something I never give a miss. Warm Apple Pie with Vanilla Ice Cream and Red Velvet Cake was served for desserts. 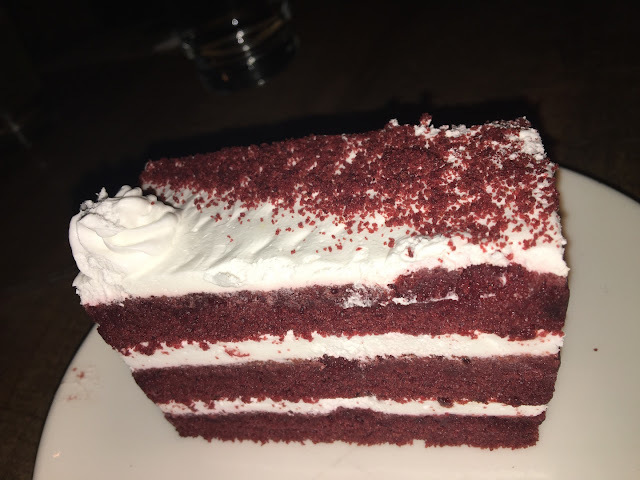 The Apple Pie was wonderful, I simply fell in love with it and even the Red Velvet Cake was just perfect, very few people get it right, but this one was really delicious. I recommend this place very highly, do give it a try and I am sure you would also love it as much as I did. WOW! It’s finally going to snow in Delhi all year around at sub-zero conditions..!! How would you feel, if I tell you that it is going to snow in Delhi all year round..!! Excited isnt it.. Yesss.. 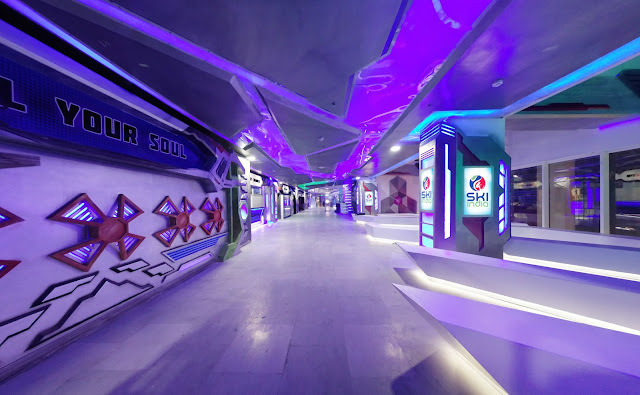 I too was damn excited when I knew that this April, Ski India, the indoor sci-fi themed snow park announced its grand launch at DLF Mall of India, Noida. 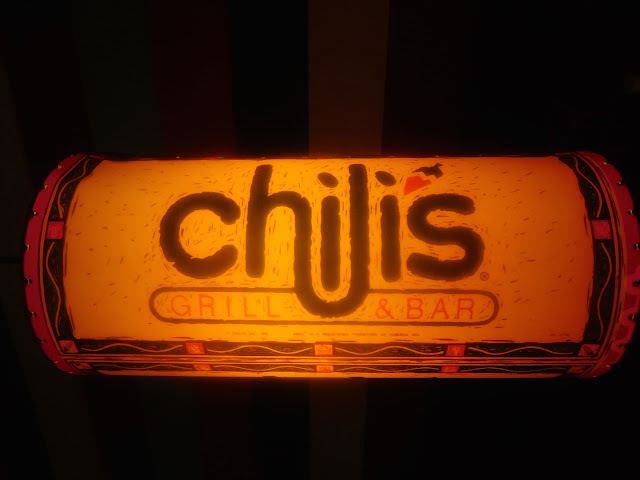 It is promoted by Chiliad Procons, one of India’s leading Hospitality and Entertainment group. Ski India blends cutting-edge technology and world-class concepts to impart iconic attractions and beyond belief experiences to its visitors. A special preview was held for the media on April 22nd, where the founders shared their story about setting it up and also we got a chance to indulge in some specially designed activities at the snow park itself. 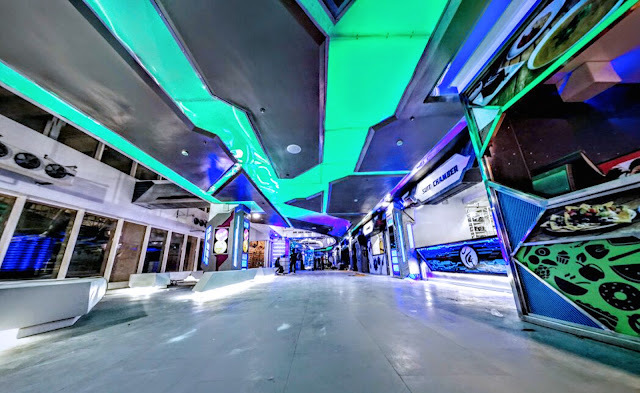 The unique Sci-Fi themed tourism project opens its doors to enthral visitors in the National Capital Region with its massive 100,000+ sq.ft property, comprising of 2 floors housed in DLF Mall of India, Noida. 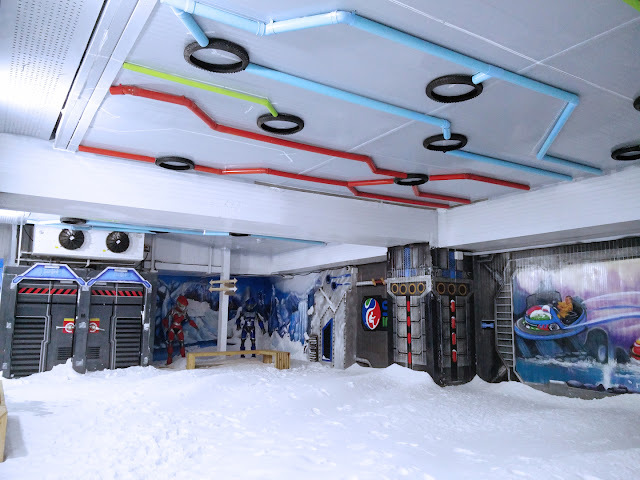 This one-of-its-kind entertainment destination offers never-seen-before skiing experience and an array of intergalactic games. Further, Priyanka Jain, Co-Founder & Business Development Head added, “We are highly thrilled to announce the launch of Ski India in Delhi NCR and looking forward to provide a complete zone for family entertainment. The project is inspired by a Sci-Fi Theme, and is set to deliver the biggest themed snow and ski park of India at DLF Mall of India, Noida”. 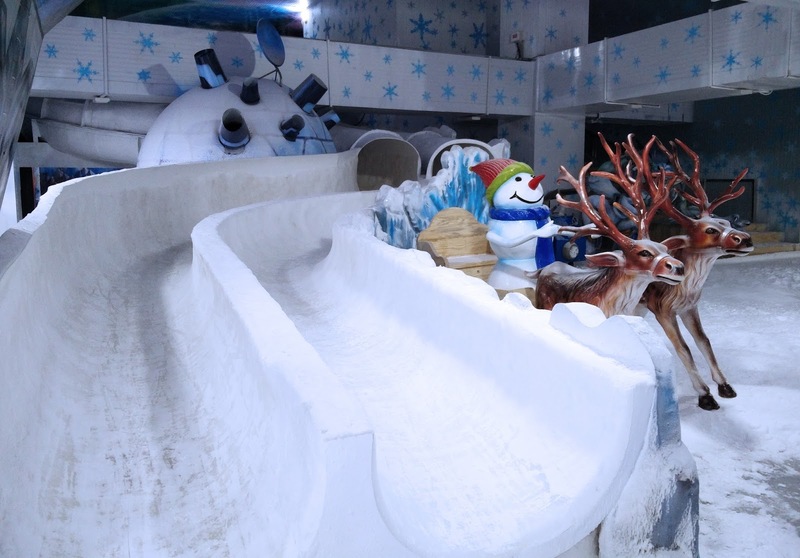 The concept is to provide the guests a detailed replication of a snowy ski resort with adventurous ski of various gradients ride, tubing, toboggan, bob sledge, planet walkthrough filled with penguins and other species, carousal and flat snow play area. This unique family entertainment destination is planned to be user friendly by maintaining the internal space temperature of -10°C to -15°C for the freezing snowfall experience. 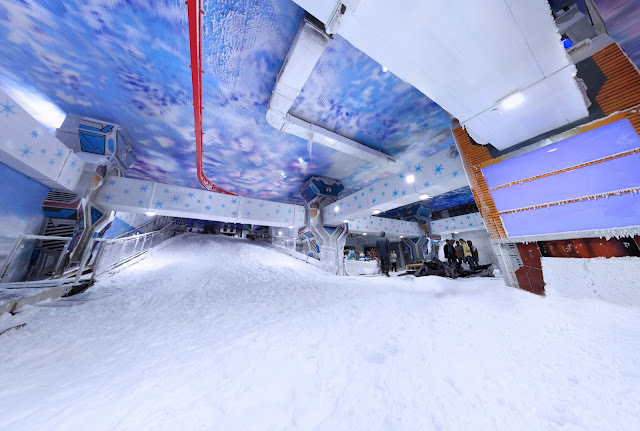 Ski India also boasts of a never-seen-before sci-fi world theme filled with intergalactic sports. 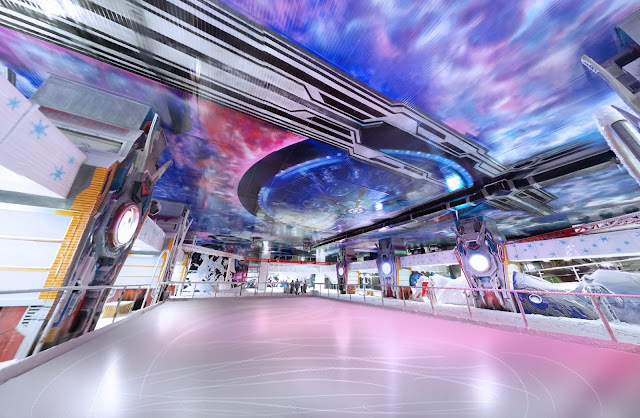 The team of imagineers has designed an illuminating Wormhole Portal at the entry that would transport all the earthlings (patrons) into the unseen planet. Orri&Orran (Ski India’s mascots) pilot the earthlings while the Snow Men guide them through all the intergalactic sports. So the species of this planet just can’t wait to meet the Earthlings. Right at the entrance, one is first prepared to handle the extreme temperatures inside, the snow park provides especially designed jackets, shoes and gloves to the visitors for protection from cold. 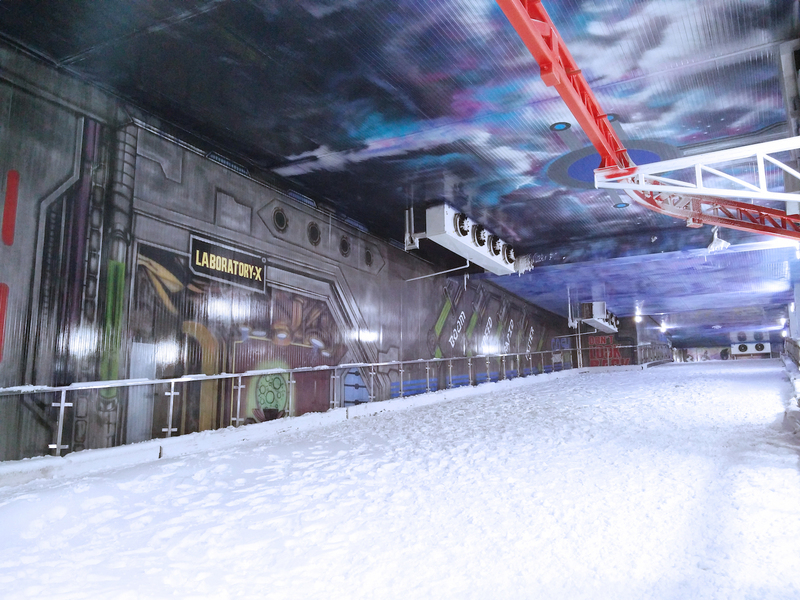 I got all geared up and entered this snow park, the first impression was really very unique, I felt as if I am in some science fiction movie. 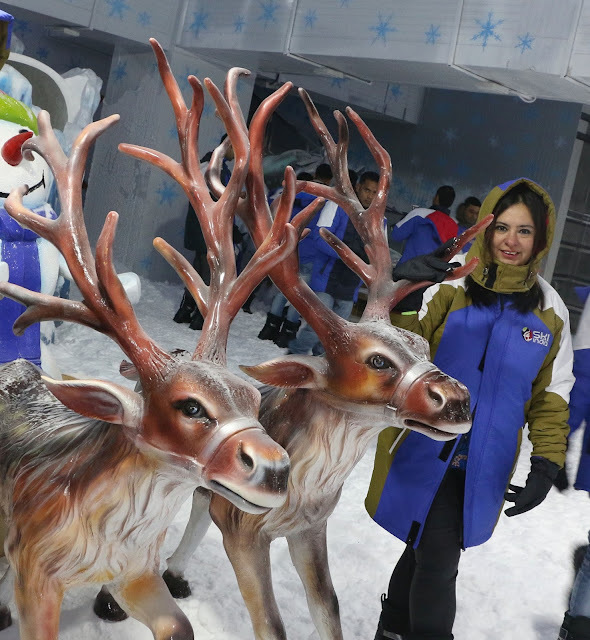 The ambience was perfect, snow clad ground, snow clad objects, reindeers, and Orri and Orran. As I started exploring the place, I more and more fell in love with it. The idea of snow, snow based activities like Skiing, Ice Skating, Sledge, were so exciting and now experiencing them right in the summers of Delhi, was a pure bliss. 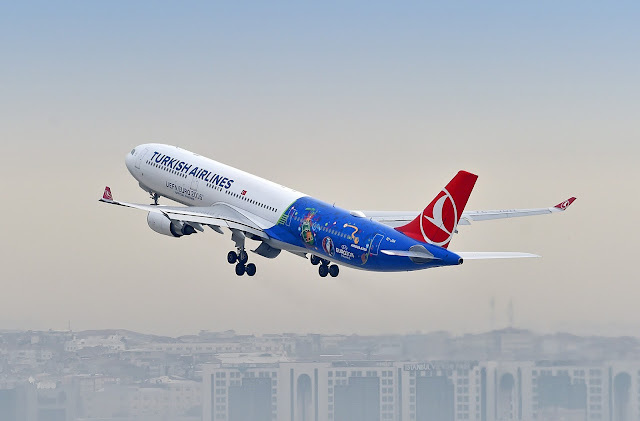 It surely is a place for families, more people, more fun. Without spilling a lot of details, all I wanna say is, do grab your tickets as soon as the snow park opens its door for public, and experience a new world. The only thing you will not like is coming out of it to the scrotching heat of Delhi. 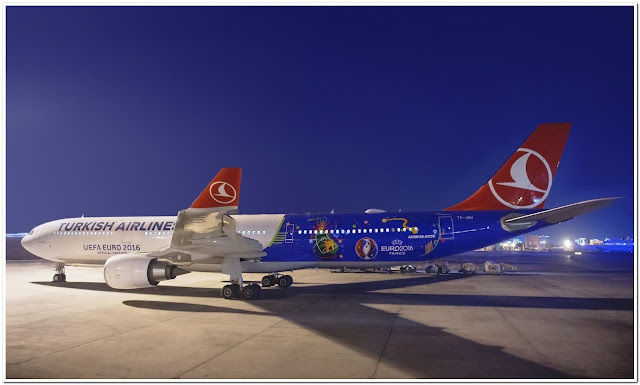 Posted in Events & Happenings4 Comments on WOW! It’s finally going to snow in Delhi all year around at sub-zero conditions..!! “Our vision is to create a series of wellness centers ‘healing the aging human cells’ through the mind–body- soul, using scientifically proven, research-driven and medically adapted natural forms of wellness treatments reflecting inner and outer body, thereby improving the quality of our lives,” added Mrs. Chadha. “SENS is offering age management services using methodology of Diet, Nutraceuticals and Bio Identical Hormone Replacement Therapy (BHRT), headed by the renowned Dr. Kalpana Shekhawat. 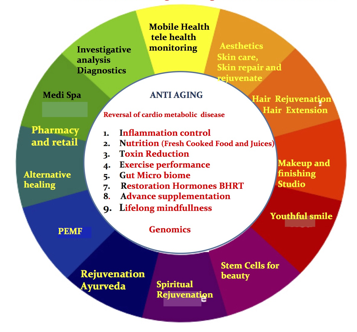 This protocol helps rejuvenate the person at cellular level and it reflects in terms of radiant health and fitness setting up a new paradigm in age reversal. We are also bringing in Pulsed Electro Magnetic Field (PEMF) which is the revolutionary cure to heal fractures, chronic pain and many other diseases” added Mr. Sachdeva. SENS brings world class and revolutionary age management solutions – from Functional & Regenerative medicine to Cosmetic Dermatology, Alternative Healing, Hair & Make Up Studio – a 360-degree approach to defy age at its state of the art facility in South Delhi….adding years to your life and life to your years – SENSitively !! 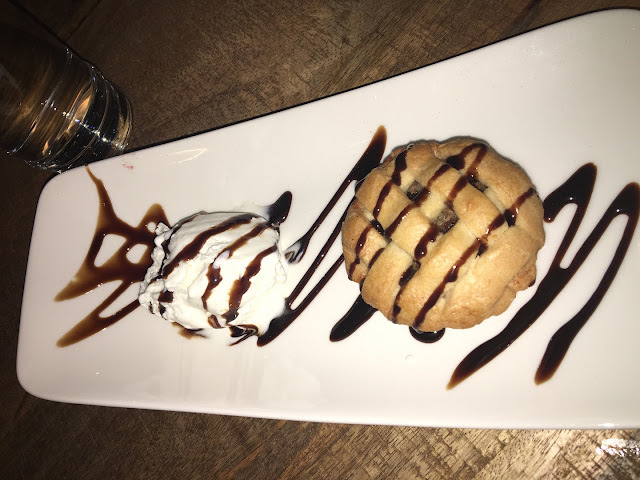 Once in a blue moon comes a chance, where you visit an eating joint and end up falling in love with each and everything that the place has to offer. 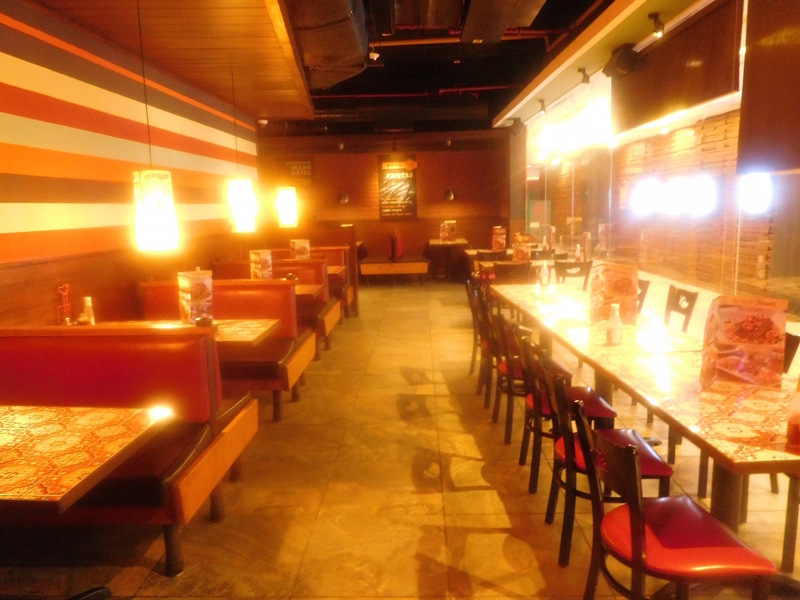 I experienced the same when I visited Chili’s at Ambience Mall, Vasant Kunj. It was truly a wonderful experience and I cannot simply get over it, the food, the ambience, the hospitality, everything was top notch. Ambience was very comfortable and vibrant, with adequate lighting; somehow I don’t like places that have dim lighting, as I love seeing food in its true colours as much as I enjoy eating it. 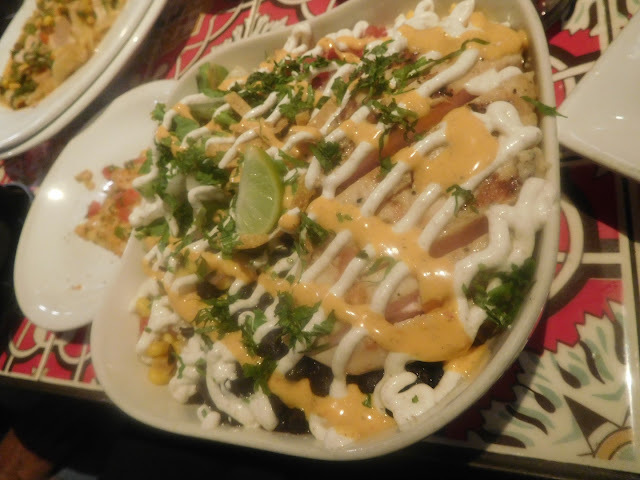 Classic Chicken Nachos– A simply mind blowing starter, crisp and cheesy at the same time, a must try. 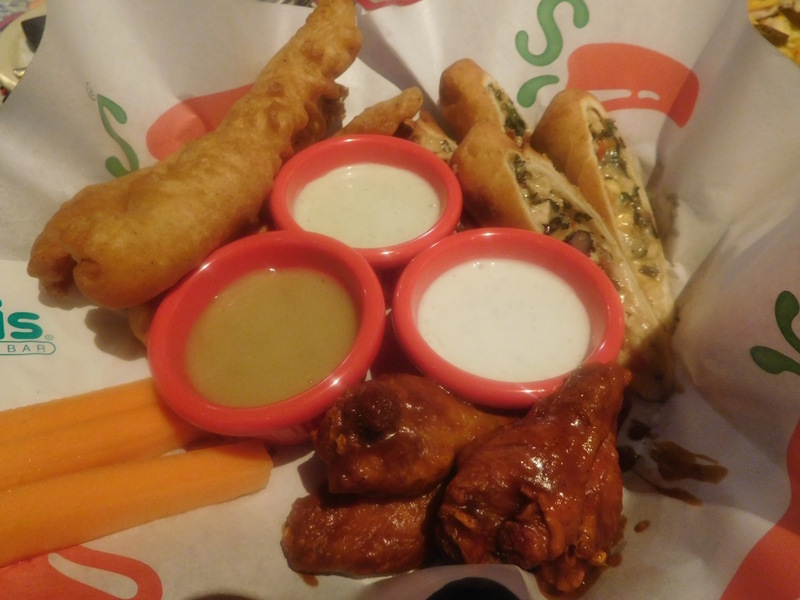 Triple Dipper– A perfect starter that brings three appetizers together, Chicken Crispers, Chicken Wings and Southwestern Eggrolls. 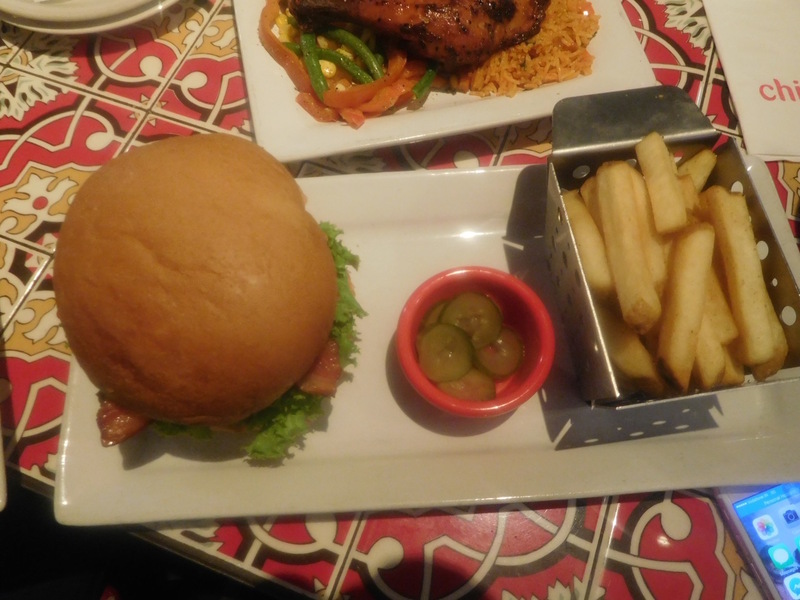 I personally found the Chicken Wings a little too tangy, rest both the dishes were delectable. 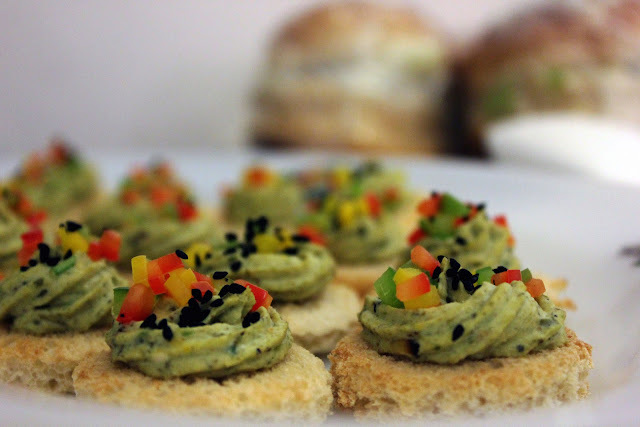 Each of them comes with different dips and the dips certainly enhance the taste, there was an avocado based dip to go with Southwestern Egg Rolls, A Ranch Dip for Chicken Wings and a Chipotle Dip for Chicken Crispers. 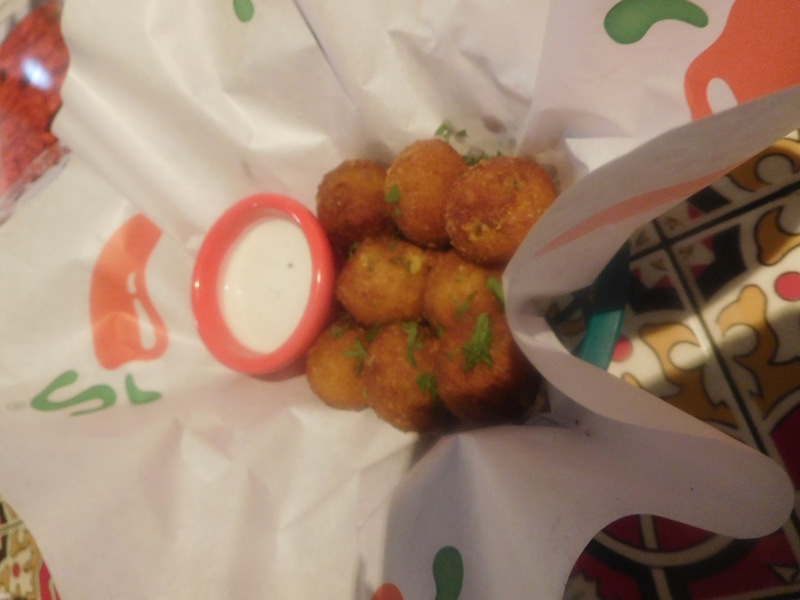 Texas Cheese Poppers– Again a great starter, especially for vegetarians, crisp on the outside and creamy on the inside. 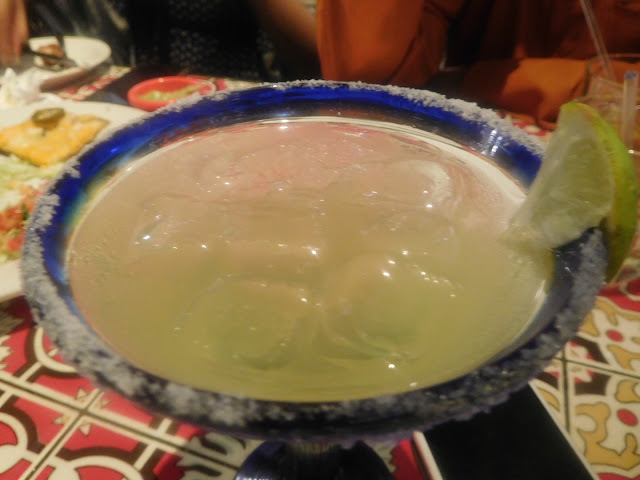 Presidente Margarita– This is a Chili’s special cocktail, which has hand shaken Margarita made with Jose Cuervo Especial Reposado, Cointreau and Brandy. 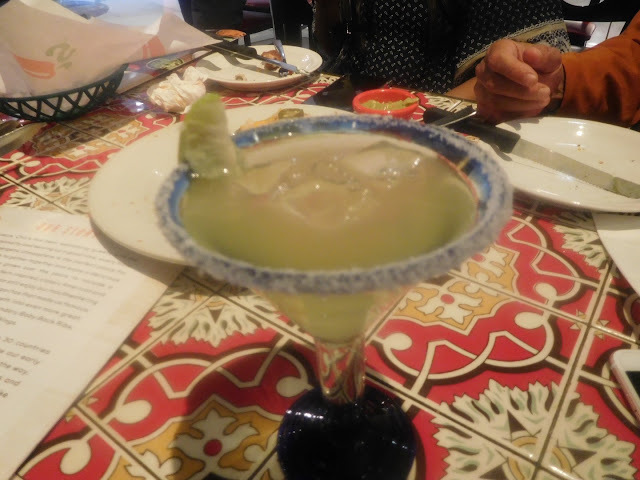 The presentation of the drink was excellent and so was the taste. 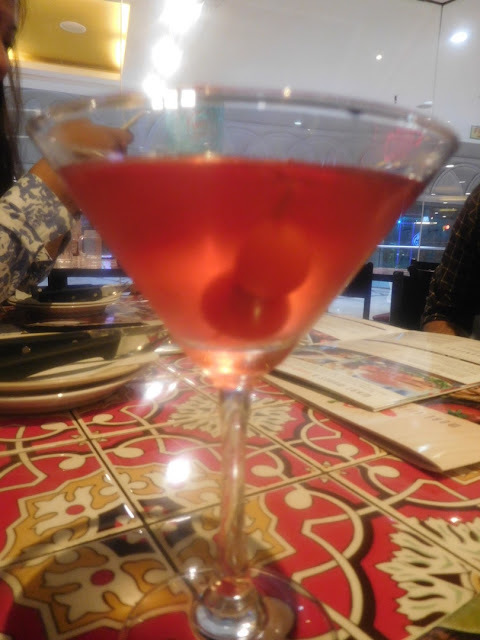 Cosmopolitan– I also tried the tried and tested Cosmopolitan, a Vodka based cocktail that has Triple Sec and Cranberry Juice. This is too was done perfectly. 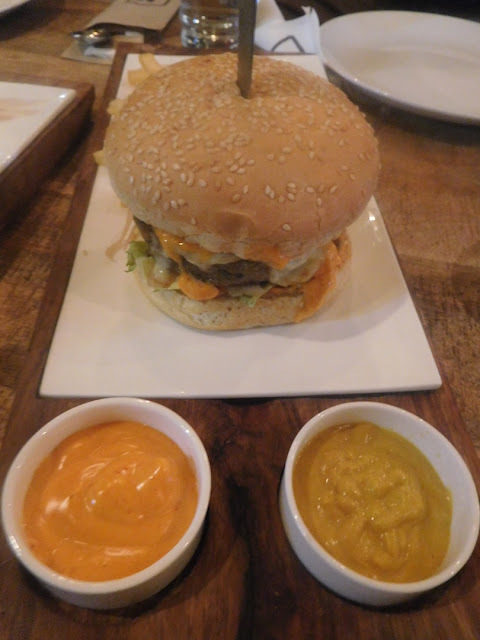 Classic Bacon Burger– we tried one with minced chicken patty and other with a beef patty, and I have to say the burgers were just awesome, very juicy and cheesy, messy but amazing. 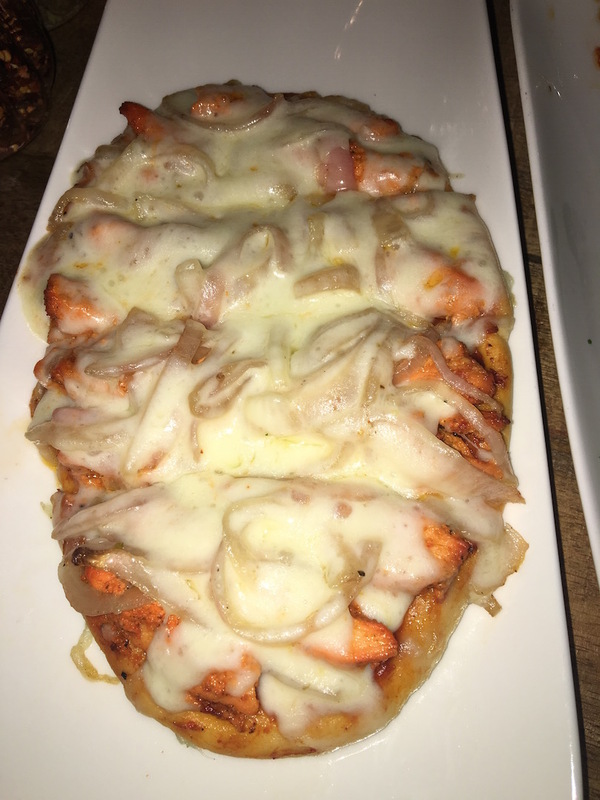 Californian Grilled Chicken Flat Bread Pizza– Really crispy and amazing pizza, and I found it amusing to eat a pizza, which wasn’t round. 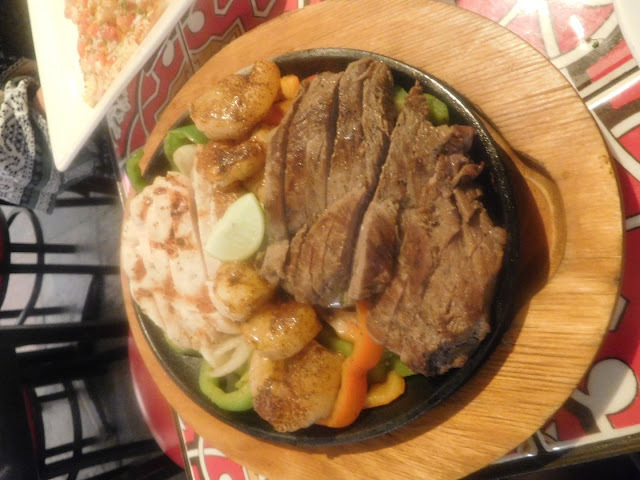 Mix and Match Fajitas– We tried the Trio Fajita, which had grilled chicken, grilled steak and shrimps. 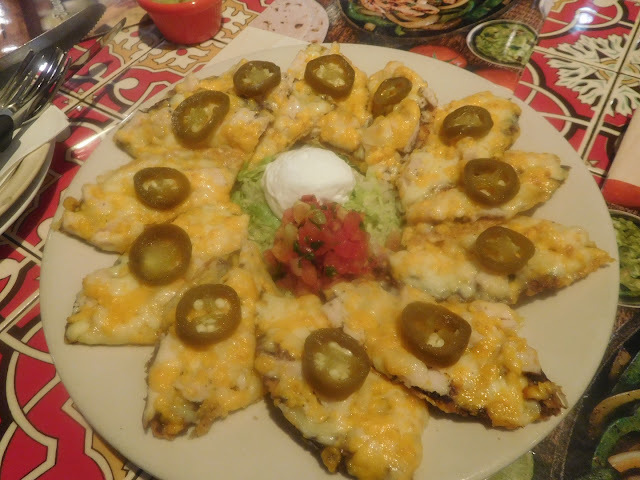 It came with flour tortillas and a variety of sauces, like sour cream, salsa and pickled onions and jalapeños. This was truly one of the best I had and is highly recommended. 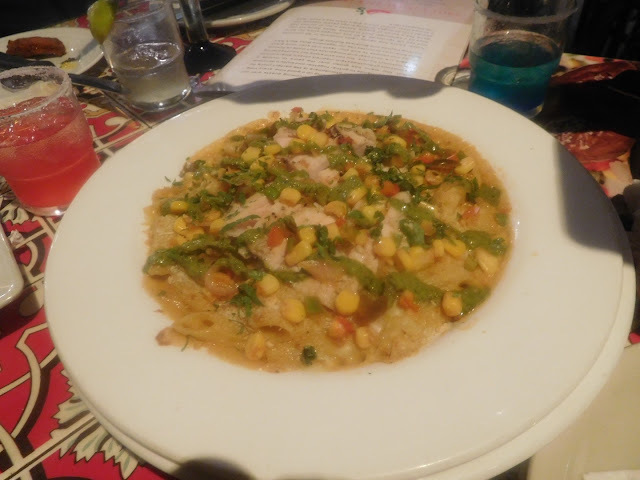 Fresh Mex Rice Bowl– Now this was the highlight dish for me personally. I simply loved it and I am going back for it very very soon. I tried the grilled chicken bowl and its definitely on the must try list. 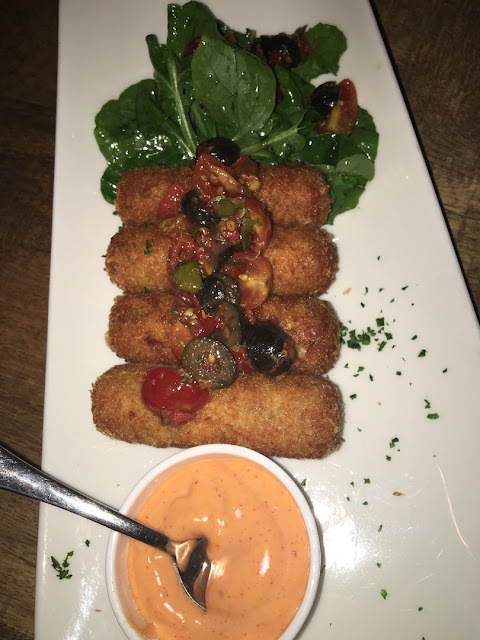 I really don’t wanna tell the details of it, order it, eat it and find it out on your own. Cajun Pasta– Frankly speaking I haven’t really liked Pasta, whenever I have tried eating at different joints, I always felt, I make it better, but this one gave me a tough competition, it was truly delicious. 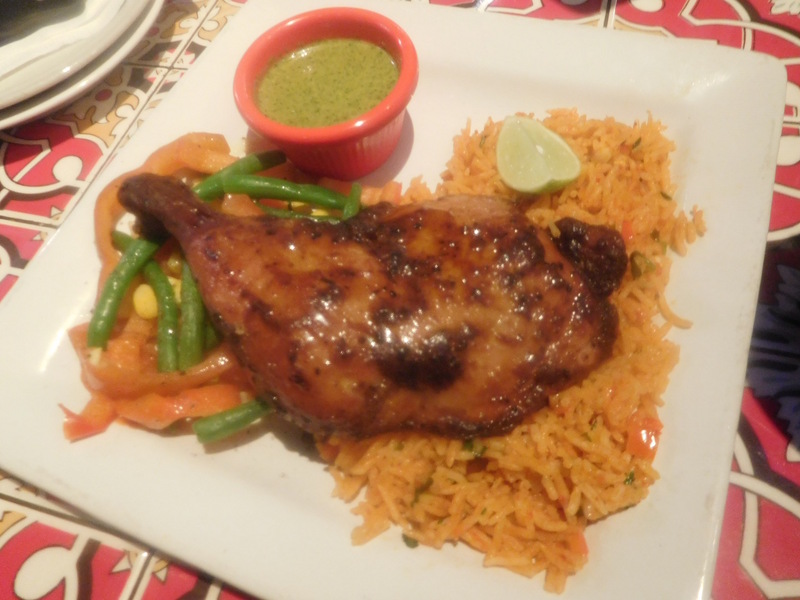 Quarter Grilled Chicken– A very popular dish, that was served on a bed of rice with an amazing dip, though there is an option of choosing other side dishes as well. 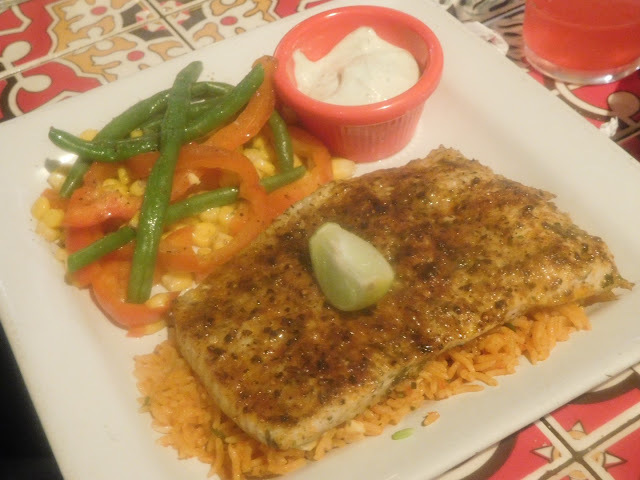 Herb Sole Fish– This too was amazing, and was part of their promotional menu, which means its on the menu for about 3 months and still up for grabs, so don’t miss your chance to try out this delicacy. 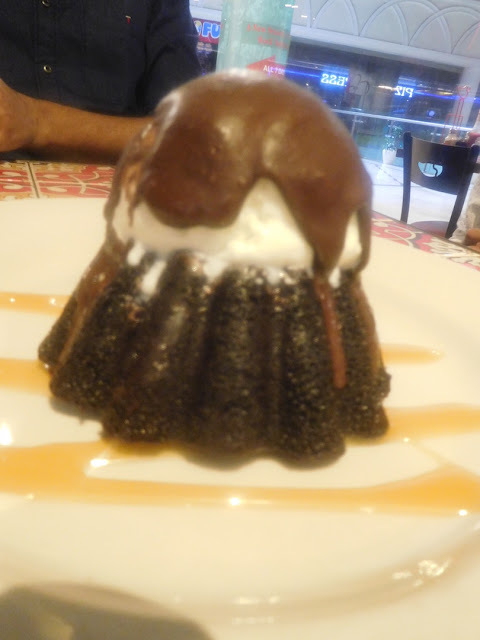 Molten Chocolate Cake– A simple yet delectable dessert, it was a mouth melting experience. 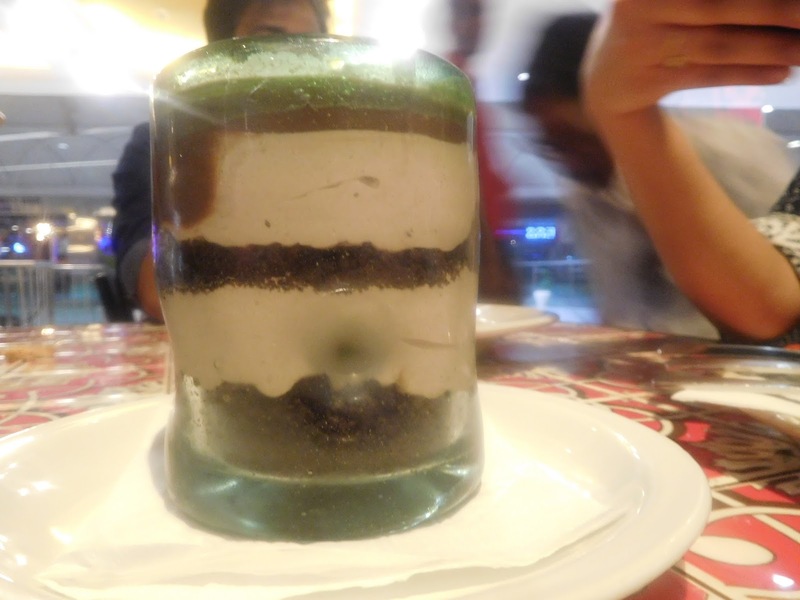 Chocolate Truffle Cheese Cake– This dessert made me drools over it, it was so yummy. It also features in the must try list. 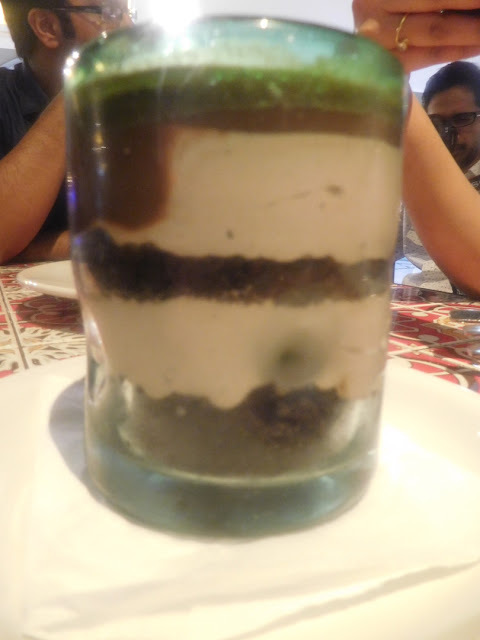 Overall, the experience was fantastic, and it was made even more special with the presence of two people, Payal Singh, the marketing head for the group and Chirag, who is the head chef for Chili’s, their presence made the entire food experience not just interesting but knowledgeable too, as Chef Chirag kept sharing his little secrets and what goes behind making those delectable dishes. I give this place a generous 4.5/5 rating and recommend a visit to all my readers. You’ll surely fall in love with the place and the food will make it all worthwhile. Ajjay Mehrra, a leading designer for Men’s Fashion has won the International Designer of the Year 2016 title in London, at the Asian Voice Political & Public Life Awards hosted by the House of Commons, British Parliament. 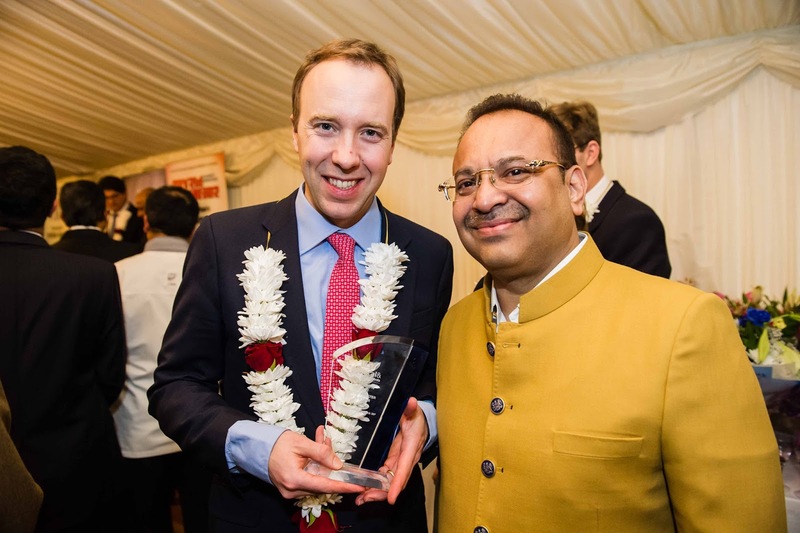 The Deputy Speaker of the House of Commons, Eleanor Laing presented the award to the Ajjay Mehrra, the only Indian designer to have won this award. 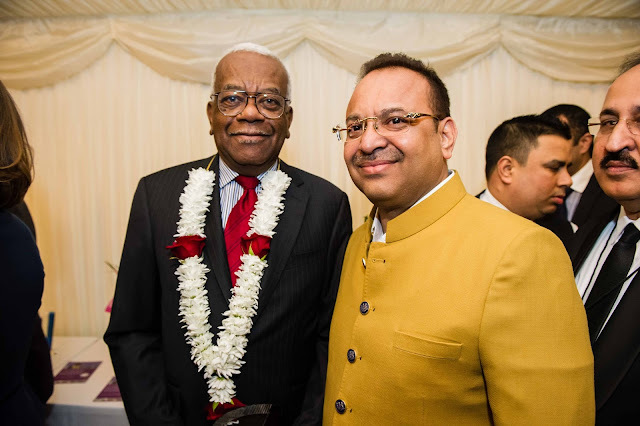 Also present were several MPs of the British Parliament including Keith Vaz, Chairman of the Home Affairs Committee. Having dressed various eminent personalities, including Prime Minister Modi and various Bollywood and Hollywood stars, Ajjay Mehrra is incredibly proud to bring he award back home and hopes to continue doing great things with Men’s Fashion, especially in India. 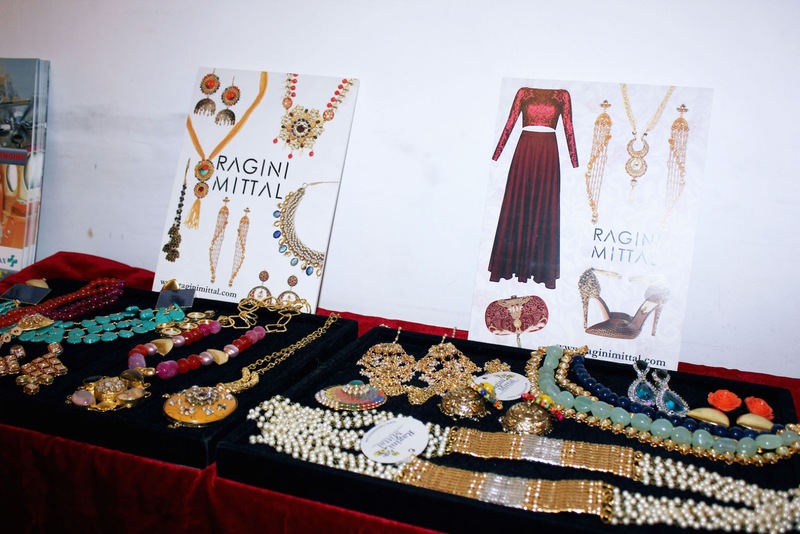 Contemporary Connect, a luxury brand management company hosted a Press Meet on 8th of April. With a day that started at 10 in the morning and went on till late in the evening, it was a happy success. 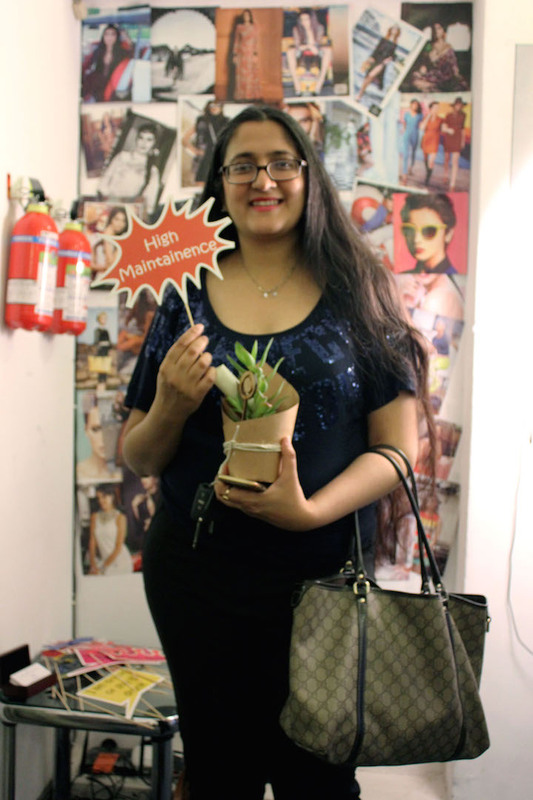 The office was decked up in fairy lights, caricatures of the employees which garnered it’s fair share of laughs, and all of Contemporary Connect’s clients on display. 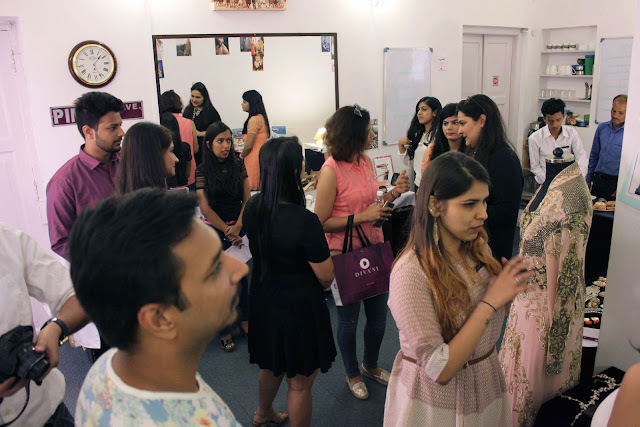 It was a wonderful opportunity for the media to interact with the team behind Contemporary Connect and some of the designers behind their brand names. The brands who participated for the event are Vanilla Moon Shoes, House of Tuhina, Purab Paschim, Ragini Mittal, Bani Batra, Aran by Shreya, Vogmask, Bobble, Imperial Air and Aurumah Valley. With a couple of on the spot interviews, photography sessions and love for the products displayed being expressed, the idea for the Press Meet was very well received. The team is extremely gratified by the response and plans to do it again for the Autumn Winter Collection. Hyderabad, April 18, 2016 – Featuring 128 well-appointed rooms, three food and beverage outlets and five contemporary meeting and banquet spaces, Mercure Hyderabad KCP offers modern comfort to business and leisure travelers in the city. 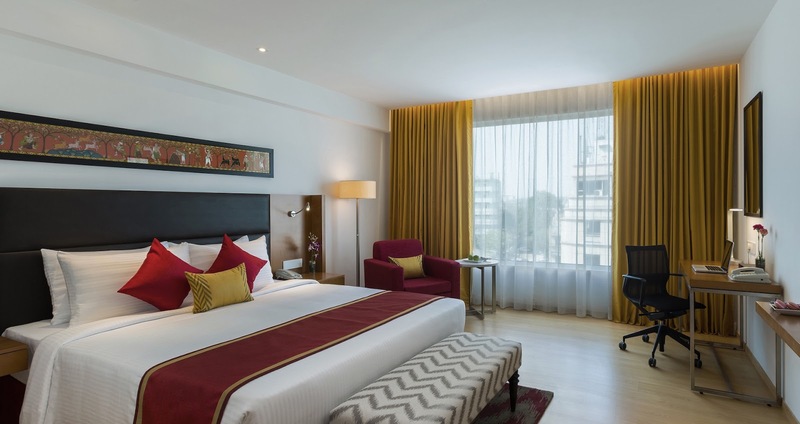 AccorHotels today announced the opening of Mercure Hyderabad KCP, marking the group’s fourth property and its first midscale brand hotel in the iconic city. 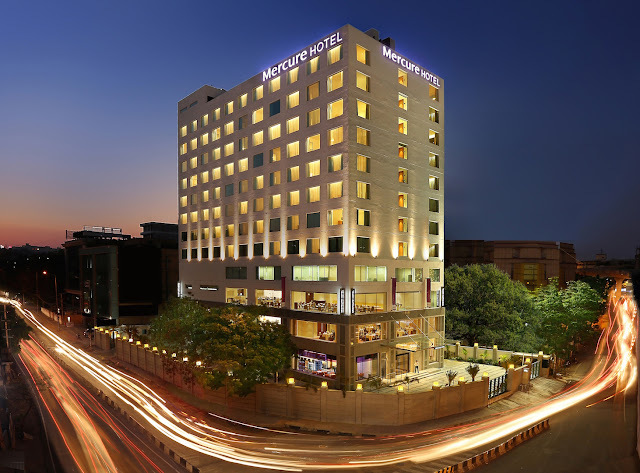 Located in the heart of Hyderabad’s shopping, historic and business district, which is a quintessential paradise for corporate and leisure travelers, Mercure Hyderabad KCPoffers guests globally renowned standards of service and accommodation infused with authentic local touches, inherent to the city of Nizams. 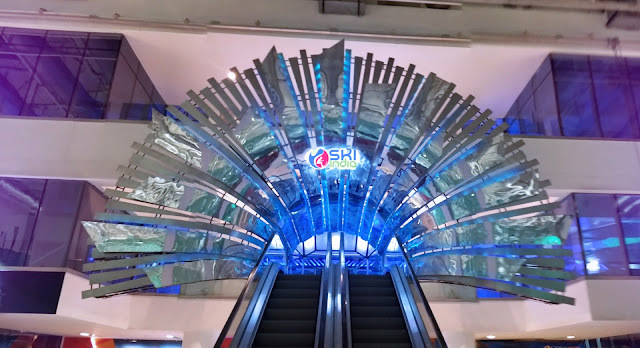 The property is a short drive from the Hyderabad airport and within close proximity to several tourist attractions, with shopping malls such as GVK, City Center, Hyderabad Central and Banjara Hills just a short walking distance away. 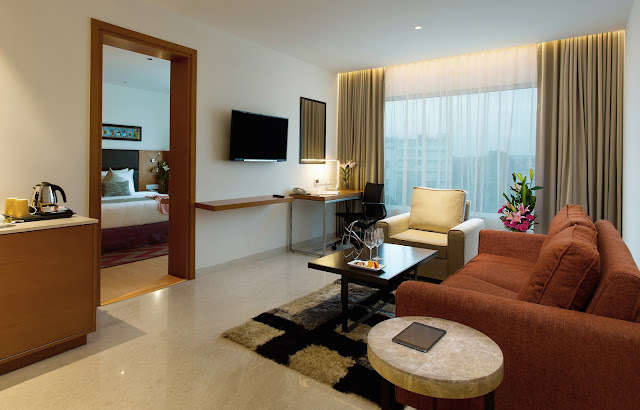 “The opening of Mercure Hyderabad KCP reinforces our commitment towards expansion and brand presence in India. Hyderabad is an important market for us as it enjoys the unique positioning of a globally renowned technology and business hub with a rich cultural heritage. 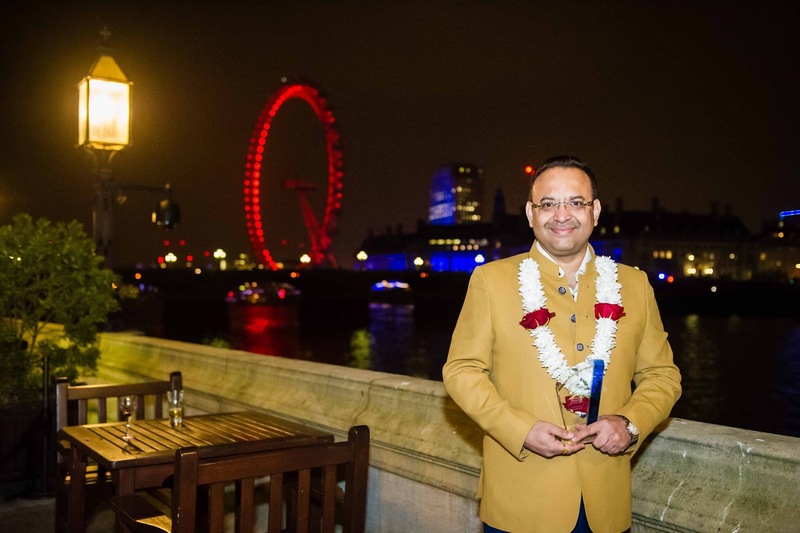 The property joins the brand’s global network of hotels offering authentic local culture and unparalleled hotel experiences,” said Jean-Michel Cassé, Senior Vice President, Operations, AccorHotels India. The hotel infuses a true representation in bringing local culture to life. Behind every painting and every piece of art is a story on its architecture and décor at the property. The Mercure Brand Wall which comprises of Pochampally Silk background is a visual treat for guests and it reiterates the brand’s firm belief in promoting the local culture and history. 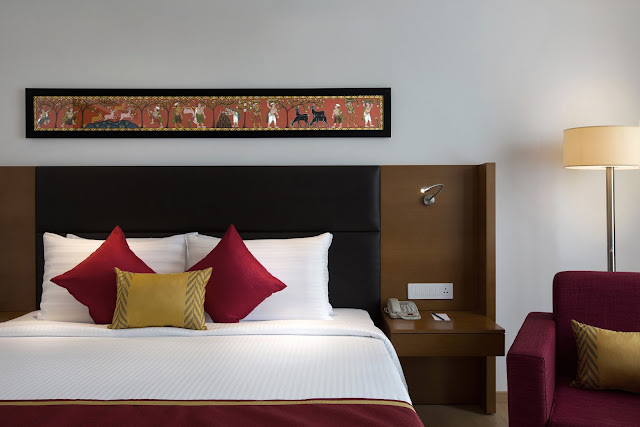 Guests can experience historical tales of the art and culture of Hyderabad while walking down every corner of the hotel. The adaptation of local culture and tradition can easily be seen around the hotel’s interiors and décor, and sorrounds the food and beverage outlets, meeting and banquet spaces. 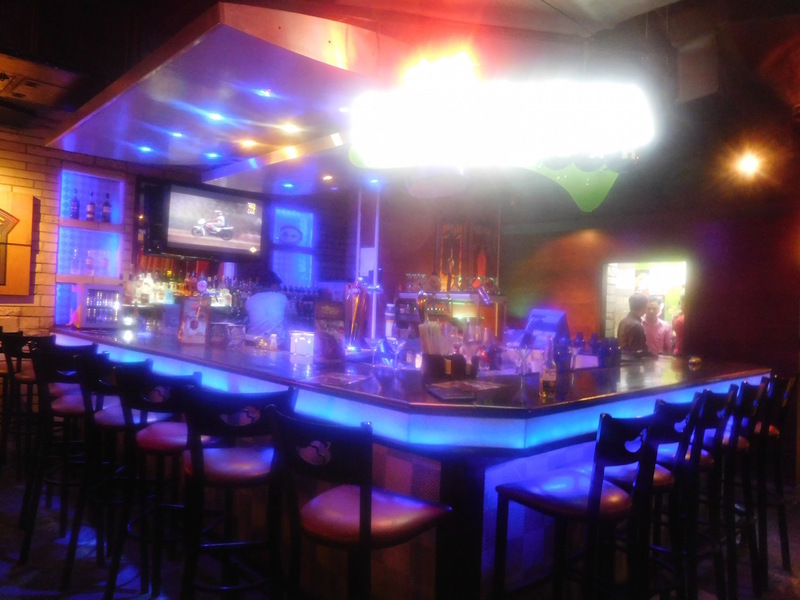 The hotel is home to three food and beverage outlets. 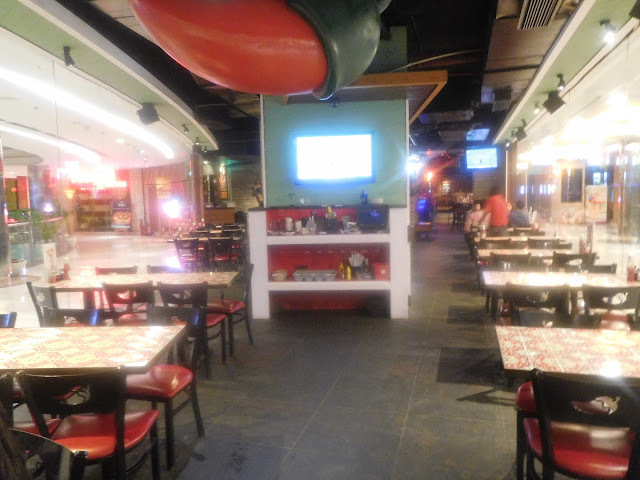 Cayenne, an all-day diner, offers an eclectic selection of local and intrentaional cuisines. A spice adding zing and pep making everyone come alive with non-stop energy describes the multi-cuisine resturant serving piping hot and delctable dishes. The IQ bar is ideal for an evening wind down. The Impression Quotient of Mercure Hyderabad KCP, it is a trendy lobby lounge and bar that serves a heady mix of single malts, cocktails, mocktails, spirits and wines. Guests can pamper their tastebuds with a selection of pastries and confectionaries for afternoon teas at Macaroon deli patisserie. 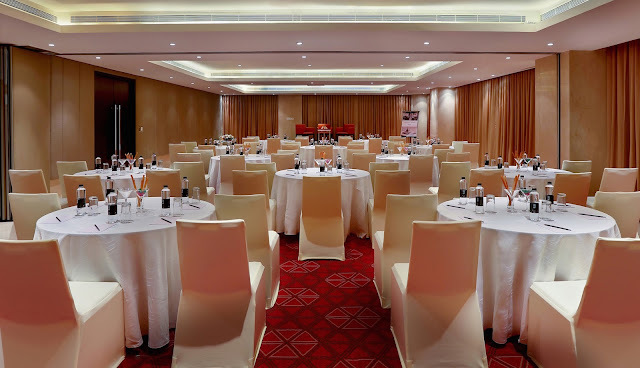 For executive meetings, private parties and memorable events, the hotel has five contemporary meeting rooms and banquet halls that can accommodate up to 150 guests. All meeting rooms are equipped with state-of-the-art conferencing technologies. 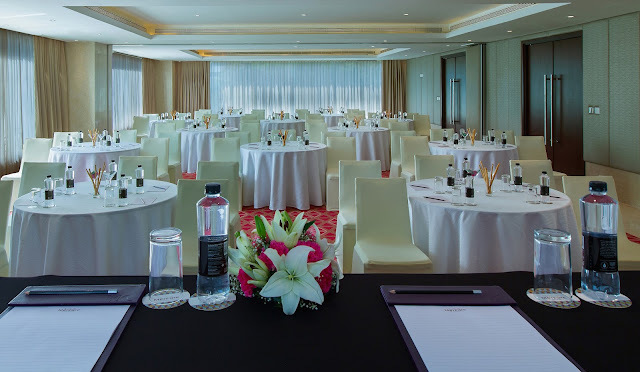 The meeting rooms boast of abundant natural light and ventilation along with amazing panaromic views of the city. Fitness enthusiasts can enjoy their work out at the roof top fitness centre which offers spectacular views of the city. To celebrate its opening, the hotel is offering an introductory rate starting from INR 6500 + taxes with breakfast for two and INR 1000/- worth of flexi credit on all hotel services. The promotion is valid from now till 30th June 2016. Base room rate is approximately INR 6500 + taxes. 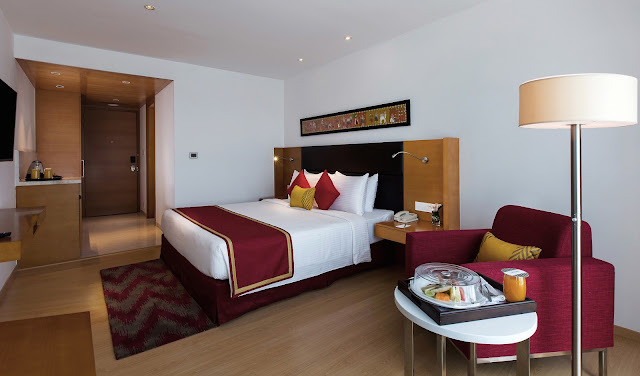 The hotel is located at a distance of 1.9 km km from Banjara Hills and 3.5 km from Nampally railway station. The nearest airport is Rajiv Gandhi International Airport, 20.9 km from Mercure Hyderabad KCP. With Mercure, AccorHotels offers hotels that are all different and rooted in their local community. Mercure is the only midscale hotel brand that combines the strength of an international network with a strong quality commitment and the warm experience of hotels that are rooted in their local community. Enthusiastic hoteliers and welcome business and leisure travelers manage Mercure hotels across the world. Mercure has over 740 hotels in 56 countries. They are ideally located in city centers, by the sea or in the mountains. In India, AccorHotels operates a network of 7 distinctive brands underpinned by operational excellence, while embracing its European heritage. With 36 hotels across key destinations in the country, AccorHotels is uniquely placed as the only international hotel group with brands that span across all segments from luxury to budget. As the leader in operating hotels and convention centres, AccorHotels currently manages the Hyderabad International Convention Centre, Lavasa International Convention Centre and Novotel Visakhapatnam Varun Beach, the largest all- sea facing convention centre on the east coast of India supporting the growing MICE market segment. Additionally, AccorHotels will add the Jaipur Exhibition & Convention Centre in its portfolio towards the later part of this year. 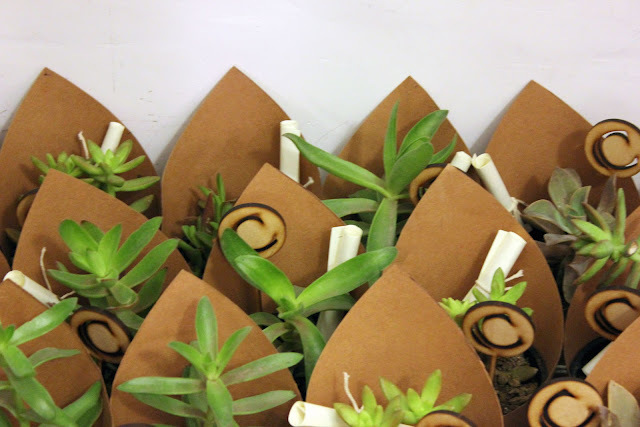 – Almost half a century of commitment to corporate citizenship and solidarity with the PLANET 21 programme. The much awaited fashion extravaganza India Runway Week in association with Big Boy Toyz, Season 6 Summer Edition commenced at Thyagraj Stadium, with Young startup designers. 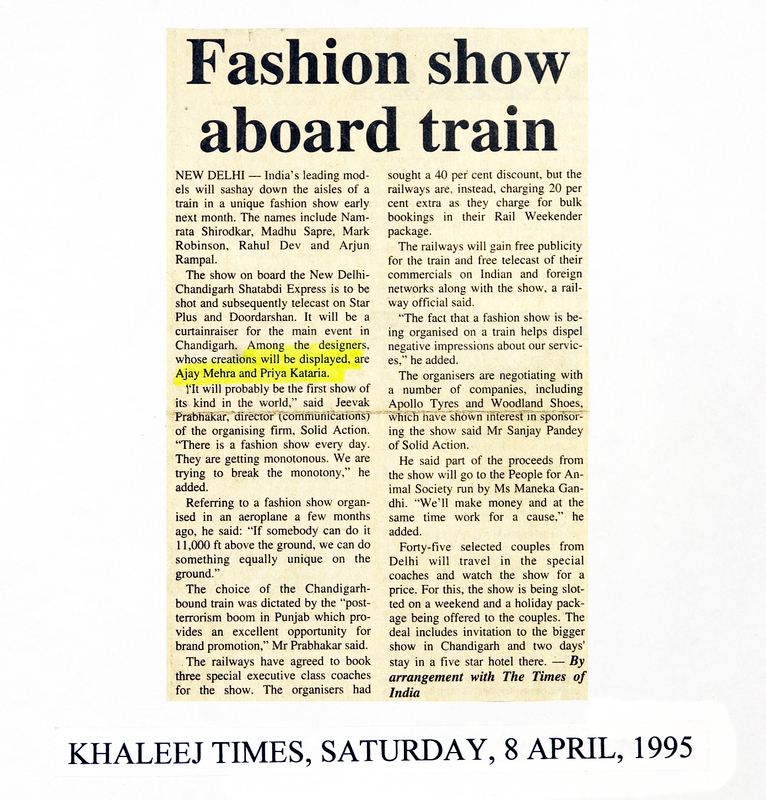 The opening show was named as “Fashion Startups of India”, This was the first time ever when a fashion trade event of this level had 8 young designers kicked off the ready-to-wear collections for Summer’16 season. 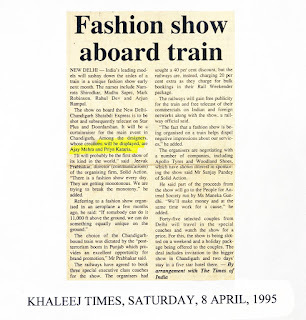 The Opening show was fully financed by IFFD The names of these young designers were Megha & Jigar, Vishala Shree, Ankita & Akshita, Vanica Chhabra, Rahul Kapoor, Bani Pasricha, Fahd Khatri and Sanya Garg. RJ Rocky, RJ Henna & RJ Ashish from Red FM also walked the ramp for Fashion Startups in the opening show. The Opening show was followed by Snishh by Snidhi and Ishna, Puneet Gupta, Yosshita & Neha, Gauri Couture, Hannah Khianghte, Bani Khurana, Sailesh Singhania, Prachi and Saloni, Sudhanshi Garg, Rohini Gugnani, Pratibha Lalwani last but not least Varija Bajaj. 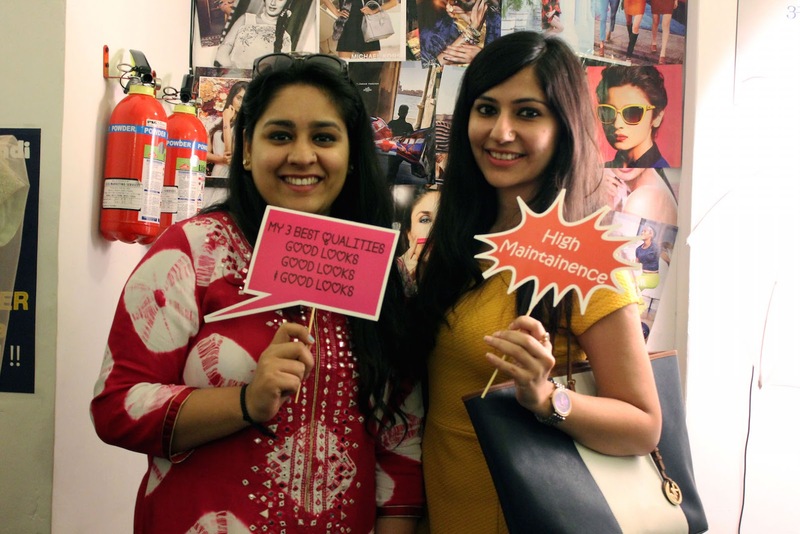 While sisters Snidhi & Ishana showcased their label SNISHH, which is all about dynamic cuts, geometric, prints and is a brand meant for those who express themselves through fashion. 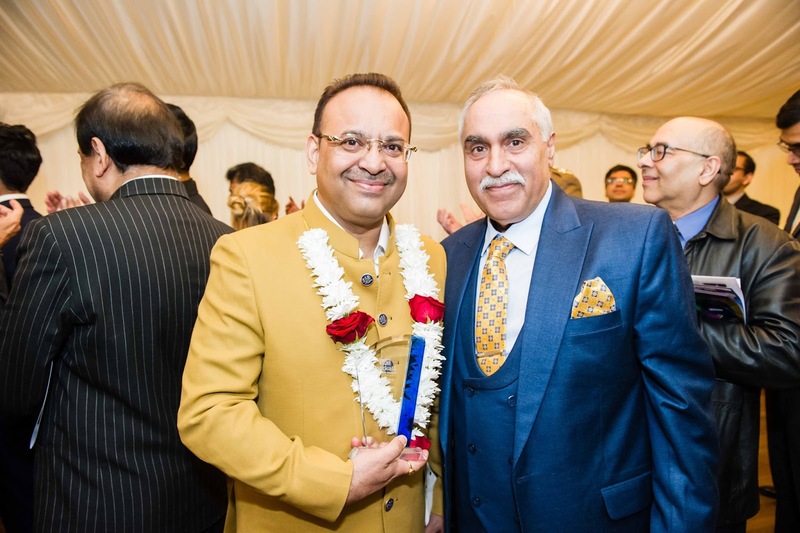 Puneet Gupta presented an enchanting palette of the very Indian and classic designs and patterns for bride and groom, which was exclusive and classy. 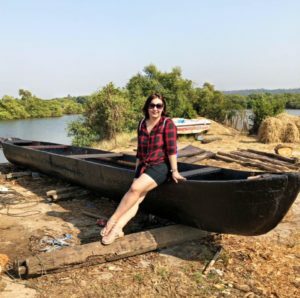 Designer Hannah Khianghte showcased classic silhouettes and traditional formal wear that women in Mizoram wear with their Puan (traditional skirt of the Mizos). Natasa Stankovicdazzled on the ramp as a showstopper for Gauri Couture by Nikheil & Rivendra at India Runway week spring/summer 2016. Looking absolutely resplendent and gorgeous in the collection named “ITRR” inspired from vintage garden. 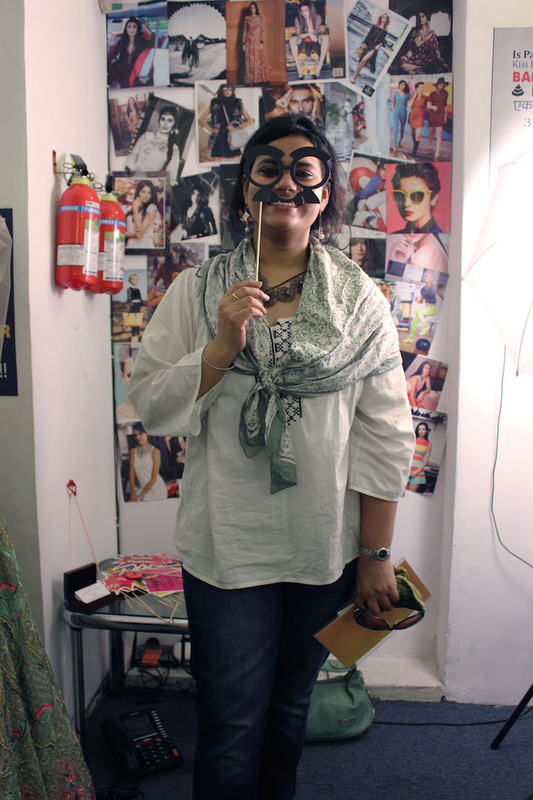 Varija Design Studio, made Chesi Anne Basil, a 16-year-old cancer patient’s dream come true. Chesi always wanted to be a model and walk the ramp and Varija Design Studio along with India Runway Week and Make-A-Wish-Foundation, made this possible. The second day of the India Runway week Season 6 celebrated the beauty of different styles women tend to explore sartorially. The day started with college students doing ramp walk “Think Design” which was a part of the India Runway Week by IFFD celebrating the summer collection 2016. 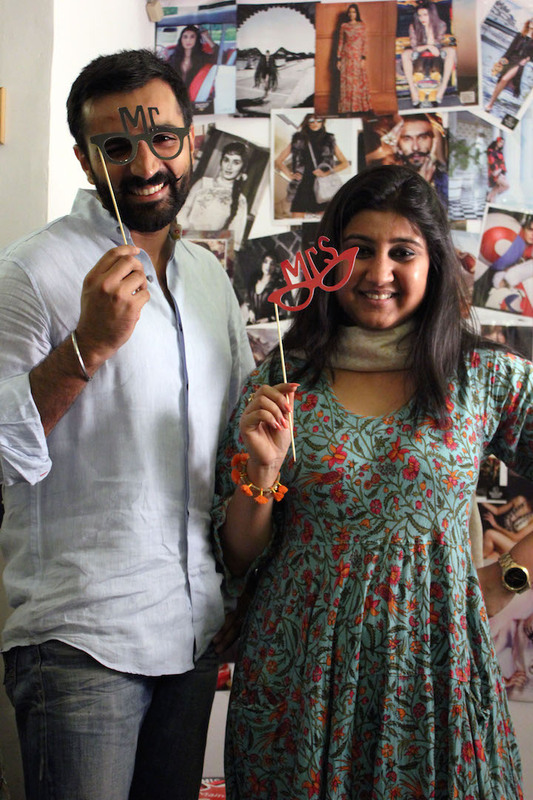 “Bohurupi” label by designer Abhishek Roy caters to a wide range of people and loves to personalize the clothes to the preferences of each customers to match their style and personality.His style is free flowing and earthy. The color palette was filled with rich, bright colors like yellow, red, blue, green, etc., that were mostly inspired from nature. In a world that is as mechanical as now, through his designs he tried to break away from the monotonous existence and add a dash of color in daily life. Label d&n by designer Dheeru Sagar and Nitika Kanodia made silhouettes a base of their inspiration and created a whole new range of collection keeping modern Indian woman in mind. The collection was a beautiful amalgamation of Indian heritage embroidery creatively infused with Parisian silhouettes. “First Edit” by Sonya Shukla specializes in garments that help you to make a sweeping social entrance. The signature aesthetic of the brand is a triumphant fusion of western silhouettes replete with traditional workmanship and modern motifs splayed across conventional Indian garments. 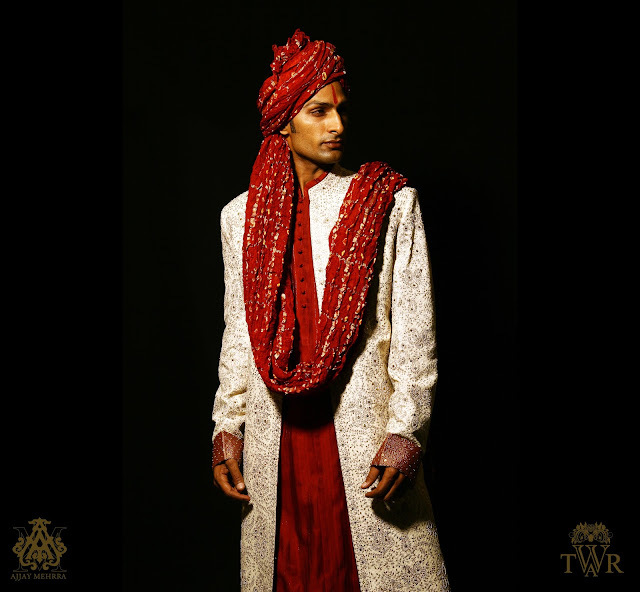 The collection comprised of contemporary ethnic as well as fusion ensembles. The label Yashika Tejwani is for the woman who is modern, independent, yet deeply rooted in tradition. 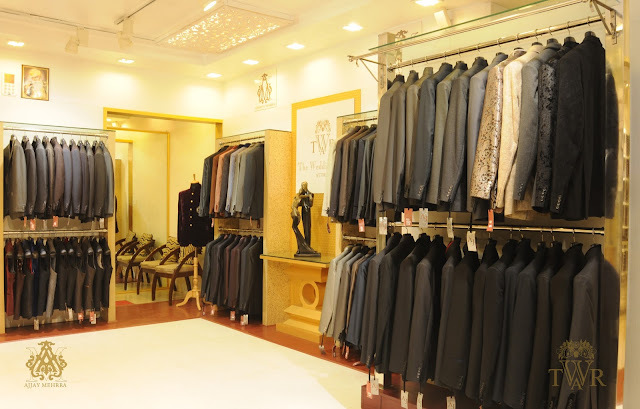 The label believes in timeless elegance and is craft based, adorning the rich cultural heritage of different regions, which do not follow a fashion trend in particular. Ethos of the label lied in intricate embroidery detailing. Actress Mandira Bedi and Transgender Activist Laxmi Naryan Tripathi walked the ramp for Delhi-based Jewellery designer Akassh K Aggarwal. At the show he launched his new Spring/Summer Collection “The Coeur Collectives“. Coeur is a recreation of French Word for core/heart. With his ‘Coeur Collection,’ Aggarwal showcased assortment of Indian era of grandeur, splendor and preciousness of jewellery vanity. The collection had a versatility to be worn on ethnic as well with Indowestern. Shriya Saran walked the ramp for designer Architha Narayanam’s brand Archi, and looked stunning in her outfit. Day 3 started with the 5 designer’s show Anjana Singh, Priyanka Munot, Shafali Grover, Yugansatya, Scarlet by Shruti Jamaal. First show started with the collection of designer Anjana Singh. In her collection pastel shades were a highlight. The collection was crafted out of organza, georgette, habutai along with handloom silk. Kaleido’s Spring/Summer by Priyanak Munot was inspired from “India through a Kaleidoscope.” The collection focused on the mixing couture and ethnic traditional with a sense of modernity, which made the collection colourful, edgy and playful. 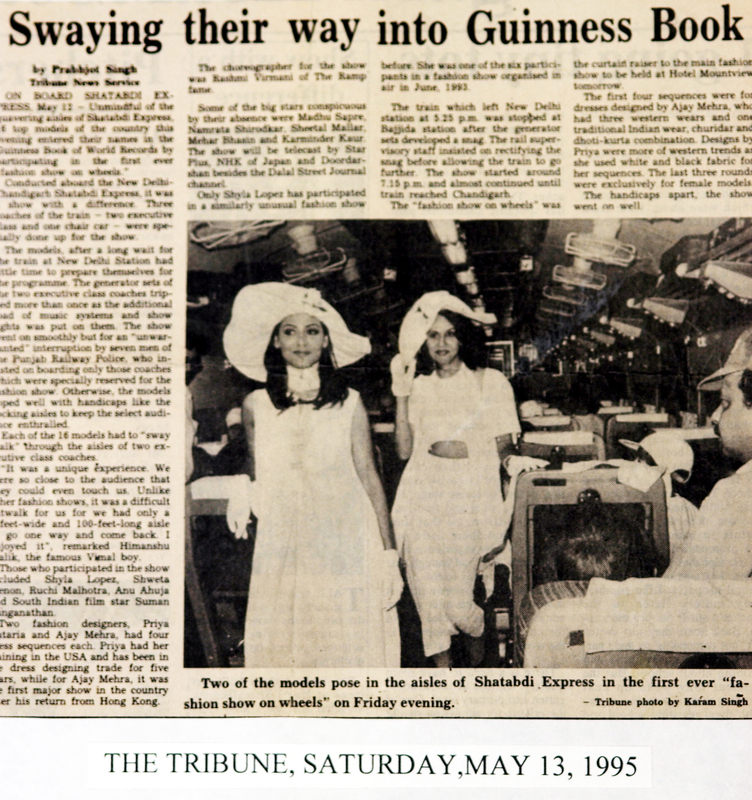 It had an array of modern ghagra choli, kediyu dhoti, sharara crop top, and gowns. The designer used fabrics like organza, silk chiffon, georgette and Gazi silk. Neha Dhupia walked the ramp for Sashi Vangapalli labeled Mughdha Art Studio. Neha Dhupia looked dazzling in a white Lehanga. Sashi’s Brand belief “We are about you” speaks leaps and bounds about her. She believes ‘Mugdha’ is not about clothes but an effort to help women understand better, to help bring out their true beauty. Designer Rajdeep Ranawat unleashed fiery corners of the Rann of Kutch to capture the essence of Gujarat’s heritage in his Spring-Summer collection titled ‘Kaanjari’. Depicting the beauty of the culture, the embroideries and techniques with the use of unusual hues, the women of Kutch formed an avid inspiration for the global nomad. Babul Supriyo walked the ramp for designer Agni Mitra Paul. She showcased two collections at the grand finale i.e. 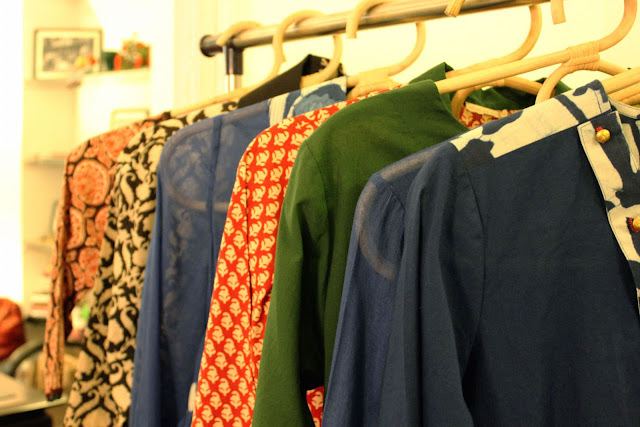 Ikat and Madhubani, a very wearable and comfort wear line in bright colors. Posted in Events & HappeningsLeave a Comment on Turkish Airlines, the Official Airline Partner for EURO 2016 takes off on its maiden flight to Paris. What’s first love.. People always say that you can never get over your first love, and in my case its true too. Me and Shahrukh go back a long way, it all started when I didn’t know the meaning of love, but felt extremely excited whenever I saw him on screen. 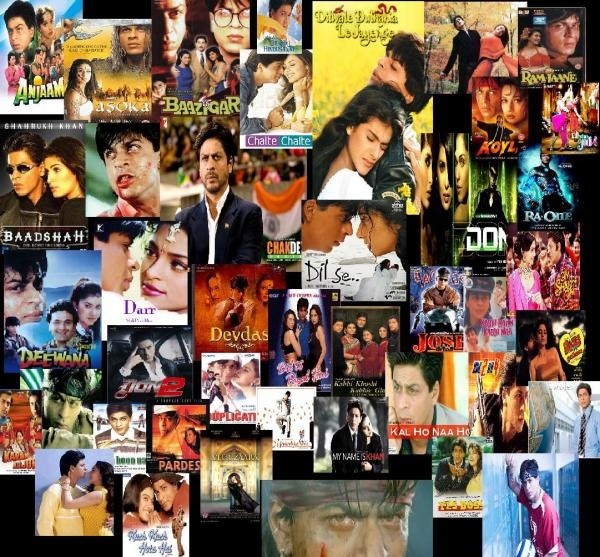 From those days of DD and watching Fauji, to then becoming a heart throb with Baazigar, Kabhi Haan Kabhi Naa, DDLJ and so many more films, to now also giving me goosebumps whenever I see the FAN trailer on TV, he has been and will always be my first love, my favourite actor, and not just an actor, but my favourite person too. So one can’t imagine the kind of excitement I had when I got invite for the press conference of FAN, which read WITH SUPERSTAR SHAHRUKH KHAN in bold. I nearly fainted, and the first thing I did was to immediately confirm my presence for the event. 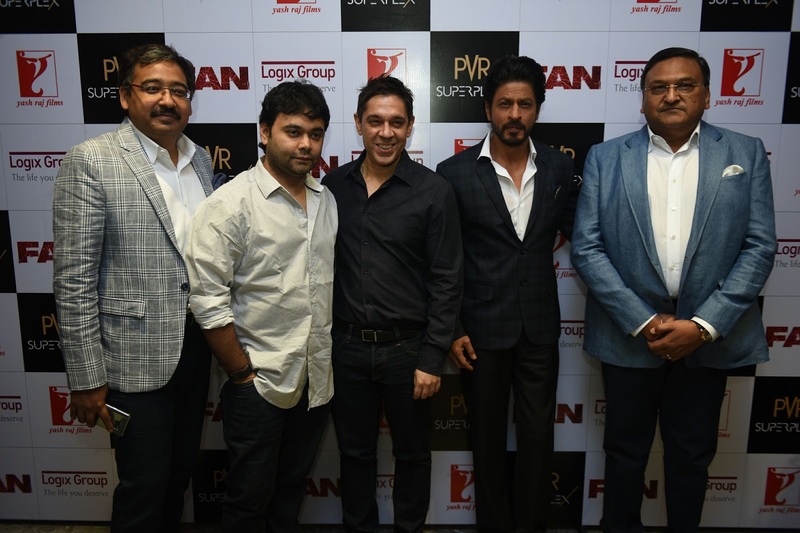 PVR was hosting a special press meet for the baadshah of bollywood, Shah Rukh Khan and Manish Sharma to promote their latest blockbuster- FAN in North India’s biggest multiplex- Superplex at Logix City center, Noida. FAN would be released at Superplex in the most sought after 4 DX format to give the patrons a real life experience of the action sequences in the movie. Excitedly I called up home, informed my mom and my son, who are also big SRK fans, about the event. They both too felt excited instantly and decided to accompany me for the event. None of us got sleep that night, and I was just waiting for the next day to begin, the clock to strike 3PM, and me to get a chance to finally see my love face to face. Finally the D-day came, and after waiting, patiently, yet excitedly for around 2 hours, SRK walked in the theatre and I could feel butterflies in my stomach. I just could not imagine that I was seeing him live. His poise, his style, his charm, his wit, accompanied him as always and it was a true delight watching him speak as he answered questions asked by the Media. I could not believe my luck, when one of the organizers walked upto me, and asked me if I would like to ask anything to King Khan. I was just dying to do that anyways. More questions poured in and he answered each one of them patiently and with honesty. His honesty is depicted through his eyes. Especially whenever he speaks about his children, there is a twinkle in his eyes that lets you see deep in his heart, which is so true. While addressing the media, the king of romance Shah Rukh Khan also added, “I am a Delhi FAN since I am a Delhiite. I love to come back to the city again and again. I love the positivity and the love shown by the city for my movies. Since a major of the chunk of the movie has been shot in Delhi, I am sure people here could easily relate to the movie. The Superplex caters to an audience of 1,544 across its 15 screens that include three Gold Class, one IMAX screen, one 4 DX screen, nine mainstreams (two screens with Dolby Atmos) and one dedicated screen with special seating arrangements for kids- Playhouse. This also marks the launch of the first IMAX in North India. Located in the heart of Noida at Logix City Center, Superplex offers multiple formats -Gold Class, IMAX, 4 DX, Atmos and Playhouse- all under one roof. Considered as one of the most refined and well-planned formats, this 15-screen Superplex is a one- stop entertainment destination. Logix Group along with PVR Ltd. will provide a holistic, spectacular family entertainment package to the people in Noida and Delhi NCR. Shahrukh spent a good half an hour answering various questions poured by the media, and the public got into frenzy when he started to walk out. 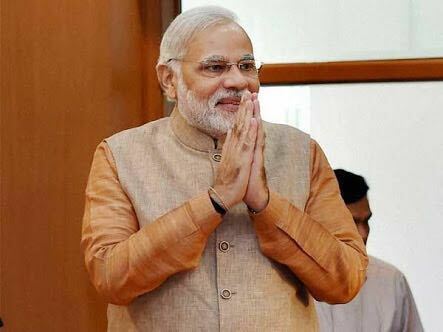 Everyone wanted to click a selfie with him, hug him, shake hands and just touch him, and he being the way he is, let the people touch him and shake hands. It would have been too crazy to click selfies, but he did whatever best he could. All thanks to PVR, my day was made. I still would have wanted to click a selfie with the SRK, chat up with him and even hug him, but then there is always a next time.